The Estève Très Vieille Réserve de la Famille Cognac is a Petite Champagne blend, and consists of harmonic eaux-de-vie that have each been aged for around 35 years. It has a wonderful orange tone with bronze and copper highlights, a beautiful nose that's truly distinctive, combining prune, spices, orange peel, and dried flowers. The palate develops these aromas and moves onto a finish of remarkable length. A distinguished cognac of a very high level. With 45 hectares of Petite Champagne vineyards, the house of Famille Esteve Cognac is an independent and traditional one. Boasting seven generations of skills and knowledge, the house prides itself in producing a range of cognac that are composed mainly of older eaux-de-vie. 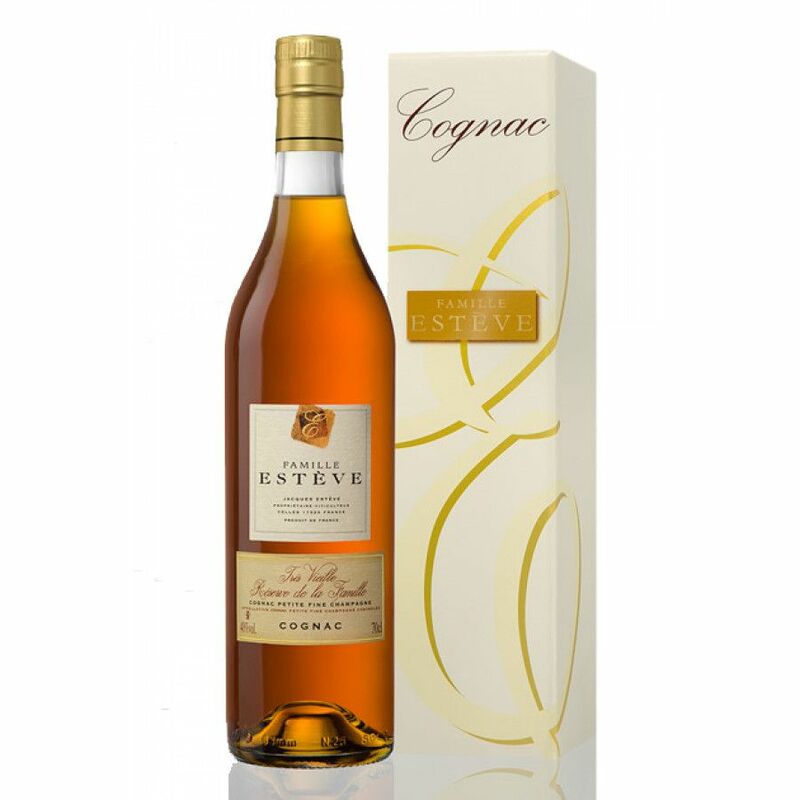 Located in the town of Celles, in the department of Charente-Maritime, cognacs from the house of Famille Esteve have won many awards that date back to the competitions held at the very beginning of the 20th century.